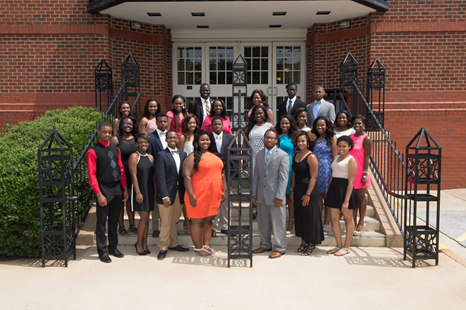 The 19th Annual Summer Bridge Program was held on June 7-July 2, 2015 on the Auburn University main campus. Nineteen participants were selected with an average ACT score of 23.5 and an average GPA of 3.74. This outstanding group were from three states: Alabama (13), Georgia (4), and Texas (2). All nineteen plan to major in pre-professional programs or curricula in sciences and mathematics. This year’s program included coursework in Chemistry and Mathematics, supplemental instruction, and departmental visit in COSAM. Field trips included visits to Harrison School of Pharmacy, College of Veterinary Medicine, East Alabama Medical Center, Alabama State Capitol, Civil Rights Museum, and Hyundai Plant. New adventures for the Summer Bridge participants included an AU Challenge Course and teambuilding activities. Students faced their fear of heights while climbing to 30 feet in the air and walked across a suspended bridge. Students working in teams learned the importance of group support, goal setting, and goal achievement. Students were able to step outside their comfort zone to participate in activities such as the Cat Walk, Flying Squirrel, and Lily Pads. Teambuilding activities concluded with a scavenger hunt of the Auburn University campus. The Nineteenth Annual Awards Luncheon was held on July 2, 2015 at the Hotel at Auburn University and Dixon Conference Center. Dr. Nicholas Giordano, Dean of the College of Sciences and Mathematics, presided over the luncheon and introduced the speaker, Phyllis Washington Gosa, a 1976 graduate of Auburn University with a bachelor of science in pharmacy. 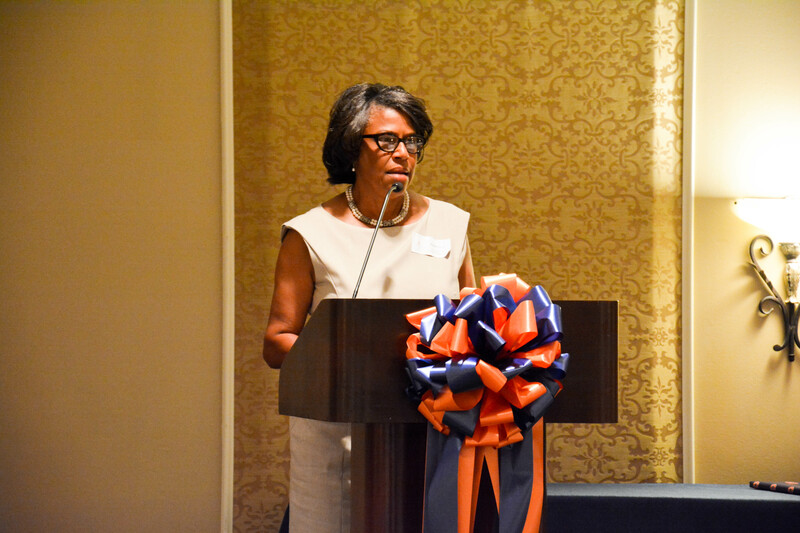 Mrs. Gosa is the first African-American woman to graduate from the Auburn University Harrison School of Pharmacy. Mrs. Gosa spoke about her journey in post-secondary education and those who paved the way before her. Mrs. Gosa’s presentation captivated the audience with the importance of making the right choices and suggested tips for success in college. Her husband, Richard Gosa, and daughter, Andrea Gosa Wells, were in attendance at the luncheon. In addition to the program speaker, Summer Bridge students, Jaeshon Baldwin, Kaiya McGhaw, Kylie Sheats, and Ifeoma Ugwuegbulam shared reflections of their experiences during the Summer Bridge Program. Eugene Govan offered the invocation. Dr. Giordano presented program participants with certificates acknowledging their achievements over the summer. He was assisted by Dr. Bianca Evans and Ms. Alexis Jackson.The luncheon was attended by COSAM Department heads and representatives. Summer Bridge faculty and staff, parents and friends of participants, and a host of faithful friends and supporters of the COSAM Summer Bridge Program were also in attendance.